Off Road Shocks and Struts - Top 5 Choices! 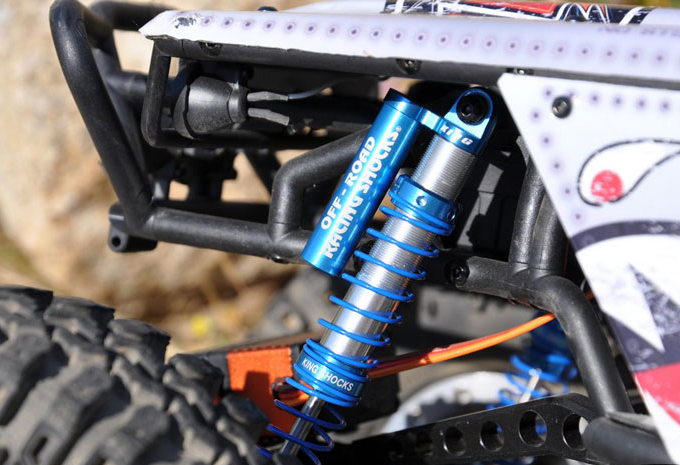 Off Road Shocks and Struts – Top 5 Choices! Anyone who regularly travels over unpaved ground knows how important off road shocks can be to a driver. In an upgrade, it is important to evaluate the amount of time spend off-road, and try to decide if anything can be done to improve the level of absorption from these parts. Adjustments such as lifting the suspension and adding larger tires can make a big difference, but checking the air shocks can be another important consideration. There are 5 big makers of these devices for off road trucks who should be considered when looking to go away from paved and planned routes. Rancho provide twin-tube suspension devices that are made from high-quality materials, and are designed to be reliable and high-performance tools. They are also very convenient to fit, which is an essential in the industry, and are easy to align according to the needs of the particular vehicle. In addition, Rancho are prepared to provide a lifetime warranty for their goods, ensuring that they will not break or buckle before they have seen several thousand miles of use. Sometimes considered to have no equal in the world of suspension parts, Bilstein might be the creators of the best off road shock absorbers available. As with all their after-factory parts, the off road suspension kits are designed to help create a smooth ride. They have set the standard for performance and innovation in shocks, and they are also known to trial-run their creations through a testing machine. These parts are very easy to install, with clear mounting locations, so there should be no problems about fitting them onto a truck which has been lifted, or even replacing them once they have been used for several years. This company provides lift kits for trucks and other heavy vehicles, and is also well known for making reliable off road wheels and suspension kits. They place a high value upon their constantly challenging technology, making sure that they also provide high value and consistently good products to their customer base. They have been industry leaders in the past, and with constant innovation, they are likely to keep up with the bigger names in years to come. This company, although less powerful than some of the other businesses is also able to offer a good range of products including off road shocks and other types of important suspension systems. They offer items which can be installed by the owner at no extra effort, and also allow drivers to buy parts separately, rather than in kits. Fox provide high-quality off road shocks, including bypass devices which are considered to be some of the best in the business. Made out of aluminum and zinc-plated alloy, these machines look massive in the hand, and do a big job inside the wheel well to keep the vehicle on an even keel while it is being driven off-road. Sometimes, replacing struts in a car can be essential to ensuring that the driver has a comfortable ride. Over a certain number of miles, the shock absorbers in the suspension become loose, and changing the strut arrangement can make a significant difference. However, although most people understand the importance of struts, they are unsure exactly how to replace struts and make the changes which will ensure that these parts are taken out and replaced accurately. This is why they need a step-by-step process to help them.